The clock was ticking. One joyous hour had passed since my youngest son’s birth. The process had been simpler than last time, and I was gratefully munching on delicious food. While a nurse checked on me, Tim surprised me by asking her, “What is that dripping sound?” The nurse replied casually, “Oh, it’s probably just something in the bathroom.” Nope. It was me. Someone got down close to me and explained that I may need to have an emergency hysterectomy. I only remember saying, “I don’t want to die.” Praying that I would live to continue to be Tim’s wife and Bugga and Booga’s mommy, they pushed me down the hallway toward surgery. I was lifted onto a table. Then it all went black. I woke up gasping for breath and shaking uncontrollably. Tim and our pastor were standing next to me. As the symptoms lessened, I was relieved to learn I had only needed a D&C (a surgical procedure to clear out stubborn placenta that was causing me to hemorrhage). 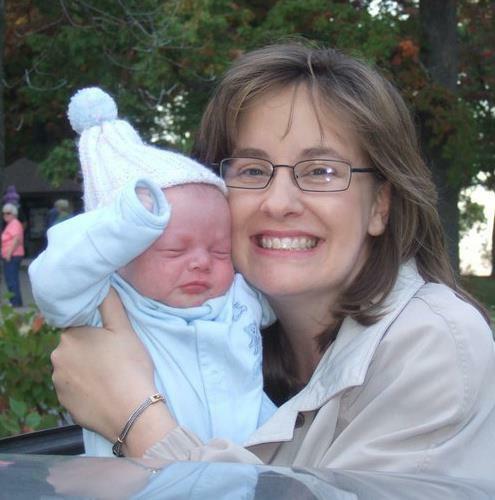 My uterus was in tact, but, my blood count was terribly low – less than half of normal. That evening, when my Dad asked about what I had been through, I was startled by my sharp reply: “I don’t want to talk about it!” My heart had been stretched further than it ever had been before. All I could do was think about my too-close-for-comfort brush with death and thank God for getting me through. Hoping that the worst was behind me, I looked forward to going home and starting our new life with two boys. But, my blood count was simply too low. Thus, a miserable blood transfusion followed two days later. They couldn’t find a vein. I could think of a million places I’d rather be at that moment. God sent a gentle nurse to pray with me. “I don’t like needles!” I tearfully admitted my dread. She sympathetically held my hand and sadly whispered, “I don’t either.” They tried again and again … finally, mercifully, a willing tunnel accepted the gift of life, and soon we were on our way home. For months I struggled with the fear of dying. Sure, I knew that whenever it was my time to go, I would go to be with God. But, this solid fact surprisingly didn’t prevent the panic attacks I was experiencing. It didn’t help that my weakened state was the ideal resort for every germ within a hundred miles. I was sick more than I was well, and I kept getting weaker. I felt like a helpless, hopeless, useless woman. A few sweet friends from church and my sister came to help us. They were such an encouragement! Sadly, I hardly remember having the energy to enjoy my babies. Curiously, as the title of this post suggests, my fear manifested itself primarily in an obsession about September 11, 2001. Every day I would have day-mares, reliving the horrors I had seen on television and heard on the radio. It felt like I was chained in front of a video stuck on replay. This wasn’t something on my to-do list: Think morbid thoughts. Truth be told, I was stuck and didn’t know how to get out. To exacerbate my rut even further, it seemed like every time I looked at a clock it said 9:11. Even though I prayed, went to church, and read my Bible, I felt like I was losing touch with reality. A medical doctor referred me to a local Christian counselor. She was a good listener, kind, and pointed me to God’s sovereignty. Practically she suggested that whenever my thoughts started capsizing, I should immediately stop whatever I’m doing and walk into another room, completely changing my activity. This diversion helped, but I needed something more powerful. I desperately sought the strength of my Counselor. Almost immediately, I kid you not, from that time forward nearly every time I looked at a clock I was rewarded with seeing 2:11, 5:11, 7:11, 12:11, and so forth. For years I had known God’s power through His word and His work in my life. But with this recent gift, I knew the power of God in a very personal way, and I could see the tender warmth of the Son burning off the fog of fear. My toxic thoughts changed to praise and I poured out, “God is faithful! 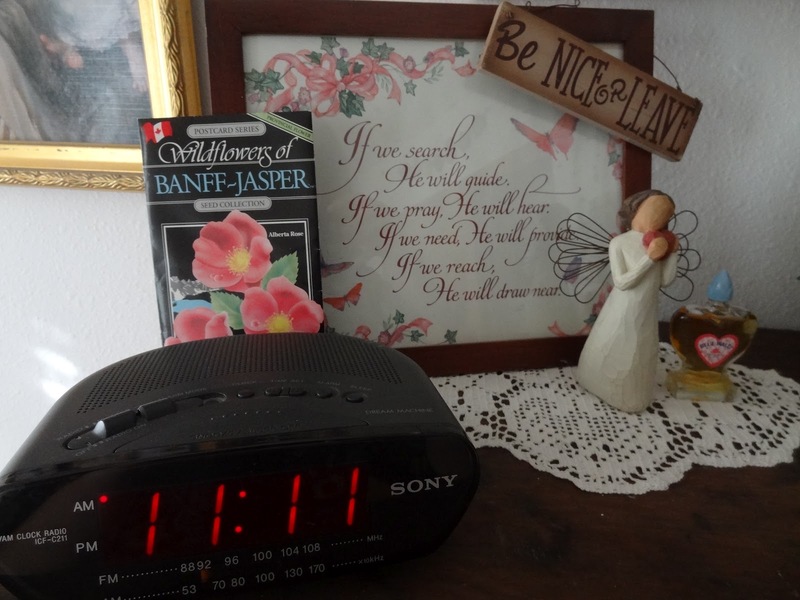 Thank You, God!” It was particularly delightful when He would cause me to look up and see 11:11 – double duty praise and thankfulness!! After about a year, my health improved and I regained strength. God had never left my side, and He became dearer than ever before. Why do I share this with you? It is so tiny compared to what others have suffered due to the events of 9-11. I do not pretend to compare my situation with others. Nevertheless, I too, in a small way, suffered part of the consequences of sin and death in this world. It was a dark time in my life. God let me stay there, I believe, long enough to always remember what it felt like. Then, when His timing was right, God pierced through my shadows with His marvelous light. Whatever it is – from your past or in your present, it isn’t too big for God. He can work in seemingly small ways to remind us of His huge faithfulness. Have you asked Him to show you His light? If you have time, here is an amazing account of a Bible recovered after 9-11-01. I had a similar experience of God’s graciousness to me, reminding me of His love and presence when I really needed it. Awaiting our stillborn son’s funeral, I went outside to think for a moment, and I witnessed a beautiful picture of sun rays shining from between dark clouds. I felt like God was telling me, “I am with you.” I felt encouraged. About two weeks later, we had a memorial service in another state for my side of the family to attend. That same day, I saw a similar view of sun rays piercing the darkness. It was amazing to me. It continues! I became pregnant with our next child about a year later. I battled fear over losing this one, too, but God poured faith into me every time I read Psalm 33. Our child’s due date was January 1st, and I had a one-a-day calendar with scenic pictures on one side of the rip-off page and the day’s date on the other. As I checked through the month of December for that year, two dates had pictures of sun rays filtering through clouds. I thought, “It would be so cool if this baby was born on one of those days!” And she was!